Starting from the upcoming school year (2019-2020) Delta English School will offer School Transport pickup from various parts of Dubai. 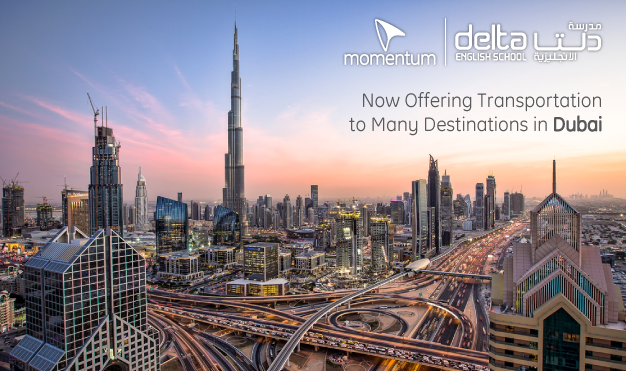 Please contact our Momentum office by calling +971 6 535 9244 for further details. With the introduction of transport from Dubai, Dubai residents can now significantly benefit in obtaining World Class Education at Very Affordable Rate. Please check out this option as this may significantly reduce your out-of-pocket expense on your ward's education.